Imagine a warm summer evening at the turn of the century. Look out on Carter Lake and see the lightning bugs flickering and listen to the cicadas roaring. Picture yourself strolling along a boardwalk wrapped along the edge of the lake, wearing fancy clothes and just basking in the natural opulence. Walking by clubs and docks with sailboats bobbing in the darkness, you see cottages and restaurants all crowding the edge. Then you see a brightly lit amusement park. Welcome to Cortland Beach, Omaha’s finest summertime resort. When it was built on the south shore of Carter Lake in 1889, Courtland Beach was considered in Omaha. It was a fine resort with a lot of amenities. By the 1890s, the shores of Carter Lake were most developed at Cortland Beach. The lake had only formed a decade earlier, and capitalists in the city knew there needed to be an escape from the hustle and bustle of urban living. Some of them turned to this new drink of water to make that escape happen. Opening in 1889 by Frank D. Kent, Courtland Beach was a resort with gazebos, boathouses, docks and a fine boardwalk lining the lake. It was advertised as “A summer resort at Cut-Off Lake,” as the lake was then known. Soon after, a newspaper said that Cortland was a “swimming hole turned amusement park” that, at its peak, had all the best rides. Home to one of the area’s first roller coasters (aka switchback railway) in the late 1890s, as well as its first Ferris wheel, Cortland was popular with adults and children. There was also a large carousel. The first bridge across the Missouri River in East Omaha was finally finished in 1892. It included a, “wagon bridge over Cut-off lake and along the line of Ames Avenue [in North Omaha] connecting Courtland beach with the main land has been completed”. Traffic opened on August 17 on the new bridge across the river, which was “1,500 feet long, 20 feet wide and… built strong enough” to carry the proposed electric streetcar line from Council Bluffs to East Omaha. Courtland Beach might have had Omaha’s first-ever roller coaster, pictured here. Cortland also had a large pavilion, complete with sitting rooms, a restaurant and more. There was a large porch surrounding the building, and Victorian-era flourishes made the entire space seem opulent and deluxe. There was a zoological garden at Courtland that had ostriches, zebras and more, along with a slide and balloon races. Within a decade, a streetcar was sent out to the beach every few hours from the nearby intersection of 16th and Locust, a town developed at East Omaha, and the 1899 Trans-Mississippi Expo was held just up the hill. The Omaha Auto Speedway racetrack was built nearby with the introduction of the automobile shortly after the turn of the century, and investors formed the East Omaha Land Company to claim all of the present-day village of Carter Lake for Nebraska. They had grandiose plans for the area. 1893 was an especially important year for Courtland Beach, and the entire area of land from the bluffs east of North 14th Street all the way to the river. The largest real estate deal in Omaha history happened in the North Omaha bottoms, immediately to the south, amounting to $1,000,000 in land sales in 1893. The Omaha Terminal and Railway Company made ambitious plans to increase traffic by establishing East Omaha lines, including a streetcar to Courtland. Other developments included the launch of their roundhouse north of Locust, and the first construction on the East Omaha Bridge. The newspaper reports shared stories of mothers and children spending their days out on the beach and in the amusement park, while their business-working husbands would join them in the evening. Young couples were known to have bonfires on the beach starting at 10pm and last long after midnight. Society pages were covered with stories of Miss Smith taking rowing lessons while Miss Houston hosted a beach party, and other tales of lush pleasure at Courtland. There were nightly balloon excursions to watch and participate in, and Nordin’s Orchestra was the house band for several years. Attorneys and city officials frequently enjoyed “evening luncheons,” bowling and bathing (swimming) at the beach, and overall it appeared that Omahans really enjoyed their summer retreat. However, changes in the Missouri River’s flow made the bridge at East Omaha worthless, and soon it was a stranded section in the middle of the river. After flooding struck Courtland Beach in 1897 and 1899, the company starting running into fiscal problems, and in 1900, the Courtland Beach Company couldn’t afford to start the place up again for the summer. It was the same year that the streetcar company built a streetcar barn on Locust next to the roundhouse, and made plans to build a powerhouse to convert the streetcar line from steam power to electricity. Although it was shuttered, Courtland Beach was kept in good shape, and within a few years it was running again. In 1902, the Illinois Central Railroad took over the streetcar facilities in East Omaha, including the bridge, roundhouse and streetcar barn. The bridge was rebuilt as the longest double-swing bridge in the world, and its worth was pronounced loudly around town. This is from an 1899 Sanborn Fire Insurance map including Omaha’s Courtland Beach. There are building labeled and a scale. To wrangle crowds back to the park when it re-opened in 1903, the Jabour Carnival and Circus Company was contracted for more than two weeks. There were 200 performers, and a scenic pyrotechnic performance called “A Night in Japan.” Acrobats, a ballet, a high wire artist and a contortionist were featured, too, as well as Frank Cotton’s educated donkeys, a beauty pageant, a Congress of Nations, and an Italian military band. A midway and entertainment tents kept Courtland open at all hours, and packed the crowds in. As a sense of the taste of the times, a famous cornet virtuoso named Herman Bellstedt played Courtland Beach for “an indefinite stay” in 1903. The Five Flying Banvards, an acrobatic troop from Germany, spent a few weeks at Courtland that summer, too. That same year, the Omaha Street Railway bought the lines running to the beach and made the trip more affordable. Starting in 1903, one fare carried people from South Omaha or any of the other suburbs directly to Courtland, with a transfer at Farnam Street taking them there in approximately 15 minutes. This is a drawing of the Courtland Beach pavilion around 1900. Check out the busy-ness and the steamboat landing! Before the turn of the century, the same manager handled both Courtland Beach and Lake Manawa, which had a similar operation and was similarly beloved by Omahans. He was the legendary James A. Griffiths of Philadelphia, a man known nationwide for designing the early “scenic railways” that became rollercoasters. When he returned to Omaha in 1903, people believed Courtland would return to its previous successes, but it didn’t. This is an early 1900s image of the streetcar to Omaha’s Courtland Beach. In 1905, Democratic presidential candidate William Jennings Bryan spoke to a crowd of 5,000 at Courtland Beach. I would bet few could imagine the changes ahead, both in politics and at their summer resort. By 1906, the resort ran into hard times. John A. Creighton, a member of the famous Omaha family, bought the entire facility as a gesture in 1900 and ran it at a loss through 1906. That year it was sold to the Omaha Rod and Gun Club. In 1912, the Cortland Beach amusement park was looking for people to operate its different activities. The operator, a man named J.W. Munchhoff, advertised that it was the only amusement park operating in the Omaha area. He reported that with over 203,000 residents to advertise to, the .5¢ would make new operators “big money.” Munchhoff advertised that the park already had four bowling alleys, a mammoth roller skating rink, boating, a rolling ball game, and sold popcorn and peanuts, etc. He wanted an operator for the merry-go-round and ferris wheel, as well as outdoor acts and musical attractions. Later that same year, an industry newspaper reported that Munchhoff succeeded. The park added an outdoor vaudeville theater and installed 1,000 seats for three daily performances. A ride called a Carry-Us-All as well as a new Ferris Wheel were installed, too. That year, there were pavilions and a ballroom at Cortland Beach, too, and dating there was the best fun in the area. Cortland Beach was always busy, and the lake was the place to be. From the formation of Carter Lake after the Great Flood of 1877, few knew what to do with the spit of land that used to be in Iowa, but was now squarely on Nebraska’s side of the river. Development floundered in the area because of the uncertainty, so the courts got involved. That wasn’t a clear path either, though. The 1890s were mostly Omaha’s fight to keep it, after a supreme court’s ruling in Iowa’s favor. An 1898 appeal in Nebraska’s favor made the turn of the century Iowa’s fight for it. In 1912 it switched back to Iowa permanently. All of the best development at Courtland Beach happened before the great controversy was resolved by the United States Supreme Court. They declared the village of Carter Lake was in Iowa, and Nebraska had no claim to the land. Soon afterwards, the village was left to its own devices to develop however it wanted to. Essentially though, you should know that the streetcar lines running to Courtland Beach were abandoned in 1913, and not restarted until the 1940s. When Omaha’s streetcars were completely abandoned in 1955, the area switched to buses. The Courtland Beach pavilion stood until the 1970s, when it was ravished by a fire. Today, there is no sign left from the Courtland Beach Amusement Park. No historical marker or guided tour gives homage to it, either. Do you have any memories, stories or memorabilia related to Courtland Beach? Please share in the comments below! Thanks to Ryan Roenfeld for info he found regarding Courtland Beach, and for prompting me to go further with this article! This is a midway token from Courtland Beach, probably made in the 1890s. This is a photo of the Courtland Beach Pavilion in the early 1900s, before it became the Omaha Rod and Gun Club. This pic was clipped from a July 1917 ad promoting the new “Wavecrest or Neptune Place” addition billed as just 12 minutes from the downtown post office as “Omaha’s Only Summer Home Additions!” The new neighborhood was adjacent to the “Carter Lake Club, Sand Point Bathing Beach, and the New Lakeview Amusement Park.” No word on exactly what the Lakeview Amusement Park was. Info and pic courtesy of Ryan Roenfeld. 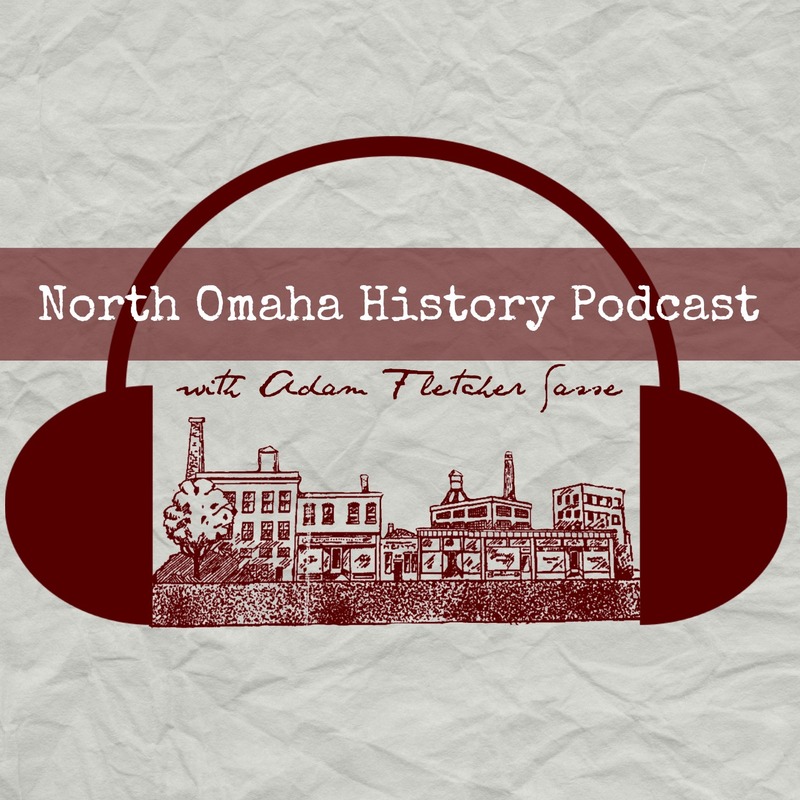 This is the Early History of Carter Lake podcast by Adam Fletcher Sasse. Hey Roger, my brand new article on the history of the Omaha Rod and Gun Club is now online at https://northomahahistory.com/2018/04/29/a-history-of-the-omaha-rod-and-gun-club/ – thanks for asking! Carter Lake Community Presbyterian Church (9th and Avenue K) is on the land once occupied by Courtland Elementary school (1927). Same Courtland as the park? The 1927 school preceeded the 1952 school, now also replaced with the current new school. Thanks for your comment Greg. I have a pic and a dated drawing of the old Carter Lake Community Presbyterian Church at 9th and Ave K dating from the 1950s. It was housed in the original Courtland Elementary. I’ll research the school and see if I can find historical info on it.